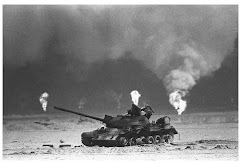 A new scientific study reviewing cancers among veterans of the 1991 Gulf War during the first 15 years after the war, as compared to non-Gulf War veterans, showed elevated rates of lung cancer. No other cancers were found to be elevated, though it should be noted that the incubation period for many cancers is thought to be later than the 15 year period covered by the study, whose authors note that more follow-up is needed. The study was conducted using State cancer registry data. Files obtained from the Defense Manpower Data Center included data for 621,902 veterans who were deployed to the Persian Gulf during the 1990 to 1991 Gulf War (August 2, 1990, to March 1, 1991) and 746,248 non-Gulf War veteran controls. Identification of veterans who received a cancer diagnosis between 1991 and 2006 was accomplished through record linkage of the Defense Manpower Data Center dataset with files from 28 state cancer registries and the Department of Veterans Affairs Central Cancer Registry. 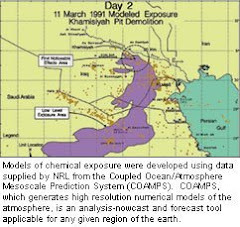 The study, Investigating the Risk of Cancer in 1990-1991 US Gulf War Veterans With the Use of State Cancer Registry Data, was published in the medical journal Annals of Epidemiology. The study’s primary author, Dr. Heather Young, is dually appointed at the Department of Epidemiology and Biostatistics, George Washington University School of Public Health and Health Services, and the Environmental Epidemiology Service of the U.S. Department of Veterans Affairs (VA) Veterans Health Administration, Department of Veterans Affairs. Both are in Washington, DC. The study abstract is available online.